Tyler Custom Homes: We build custom homes in Tyler Texas, as an experienced home builder we help clients turn their dreams into reality by providing them with custom homes. Tyler Texas is some times confused with being in Tyler County which is also in Texas, however, Tyler is the county seat for Smith County Texas. Tyler is nationally know of as the Rose Capital of the World because of the large quantity of rose bushes processed through the area, along with hosting Americas largest rose garden. Tyler is part of an SMA Statistical Metropolitan Area with the neighboring city of Jacksonville Texas. The combined population of the area is over 210,000 people. This makes Tyler one of the major population centers in Texas. Along with the wonderful weather of East Texas (a little warm in the summer but otherwise very temperate) Tyler boasts a great quality of life and a very affordable lifestyle quotient. People move to Tyler for the country lifestyle and the fact that much of the congestion and stress of city living is missing especially the traffic jams you find in DFW and Houston. 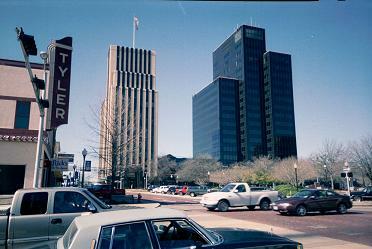 As of the 2010 census, 96,900 people resided in the city of Tyler, Texas. The population density was 1,782.0 people per square mile (688.0/km²). The 41,742 housing units averaged a density of 716.7 per mi2(276.7/km²). The racial makeup of the city was: 60.5% White, 24.8% Black, 0.5% Native American, 1.9% Asian, 0.03% Pacific Islander, 10.3% from other races, and 2.0% from two or more races. About 21.2% of the population were Hispanic or Latino of any race. If you are interested in talking with a Tyler Custom Homes builder please give us a call. We would be delighted to show you some of the fine mid-market and luxury homes in Tyler Texas we have built. As a leading custom home builder & designer, we love building homes and we would like to visit with you.